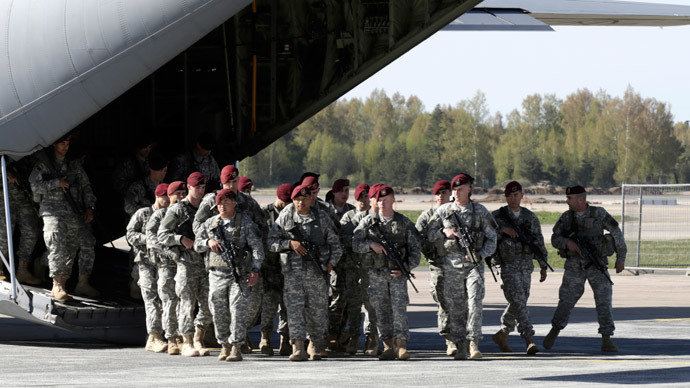 A major military exercise kicked off in Latvia, with 10 NATO member countries participating. The war games involve 4,700 troops and 800 military vehicles. Russia sees NATO's military build-up as a sign of aggression. The Saber Strike ground forces exercise is being conducted for the fourth time this year and coincides with Baltic Host 2014 and Baltops 2014 naval drills. Troops from the US, Canada, Denmark, Estonia, Finland, Latvia, Lithuania, Poland, Norway and the UK are taking part. The two-week exercise is hosted by the three Baltic States, although some parts will be conducted in Germany. 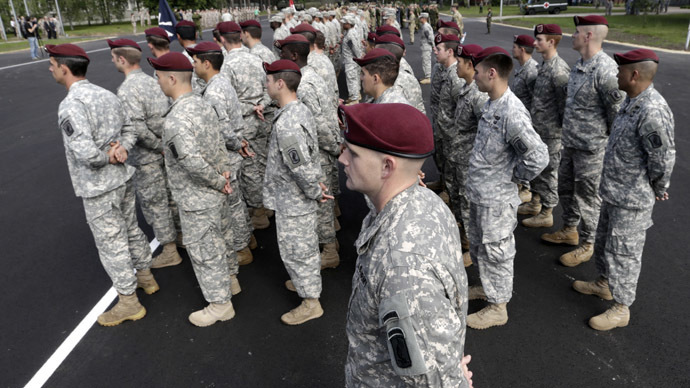 For Latvia, where the opening ceremony was held, it's the biggest NATO military drill since its accession to the alliance in 2004, the country's defense ministry said Monday in a statement. 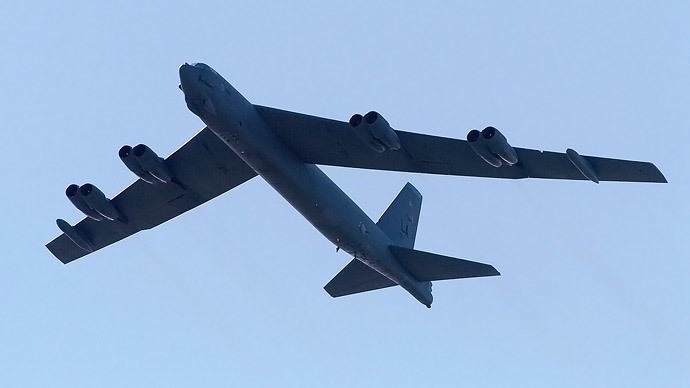 The ceremony was crowned with a US strategic bomber B-52 flyover. In total, Saber Strike will involve about 2,600 troops coming mainly from Denmark (1,100), Lithuania (900), about 200 soldiers from the US, 100 from Britain, 50 from Poland and several dozen each from Estonia and Finland. The exercise will include about 800 military vehicle units. The UK’s HMS Montrose, a Type 23 frigate, will take part in the two-week long security exercise, the BBC reports. The exercise comes amid high tension between NATO and Russia over the Ukrainian political crisis. The alliance ramped up its presence in Russia's neighborhood, claiming that it is a response toward Moscow's aggressive stance. Russia says NATO's actions are provocative and is taking measures to balance the shift in military power. “We can't take this military buildup by the alliance next to Russia's borders as anything but a demonstration of hostile intention. The deployment of extra NATO troops in Central and Eastern Europe, even on a rotational basis” is a violation of Russia's agreements with the alliance, Deputy Foreign Minister Vladimir Titov said Monday. 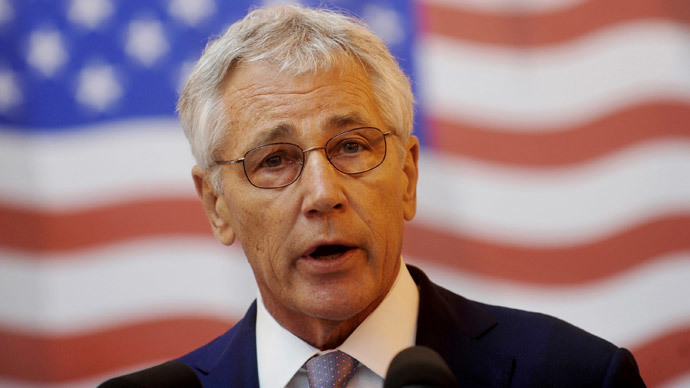 “Of course we won't stand idly and watch the militarization of the countries in our neighborhood and will take all necessary political and military measures to ensure our security,” the diplomat told Interfax. On Thursday, eight US Minnesota National Guard F-16 fighter jets arrived in Amari airbase, that are going to make battle flights over the Adazi polygon. Also KC-135 refueling tankers are located in Amari, as well as transport planes and naval aircraft P-8. Among Estonian Air Force units participating in the exercise, in addition to the support team, L-39 jets and air fire commanders participate.